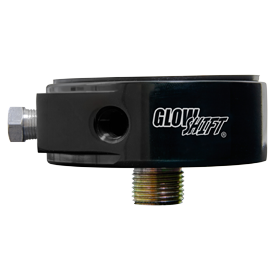 GlowShift’s Tinted 7 Color Gauge Series features high performance 52mm (2 1/6 inch) gauges for both gas and diesel vehicles. 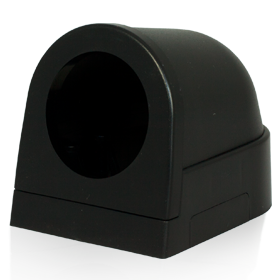 The Tinted 7 Color Series includes all the same great standard options as the other 7 color series gauges, but features a black face with a magnified tinted lens. The illuminated red needle that sweeps 270 degrees and is powered by the microprocessor control stepper motor technology which allows for exceptionally smooth needle movement and extremely accurate gauge readings. The Tinted 7 Color Gauge features a magnified, low profile tinted lens to give you that smoked, blacked out look when turned off, as well as 7 color through dial lighting. GlowShift’s 7 Color through dial lighting lets you match your vehicle’s factory dash lights or add a custom look to your interior. The 7 Color dial lighting allows you to easily cycle through 7 solid color modes, along with 2 color cycle modes, and a can be dimmed 30% for night driving when connected through your factory headlight switch. 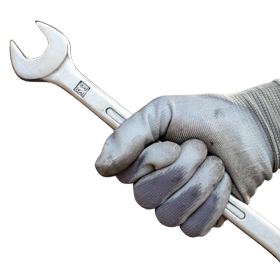 You never have to worry about adjusting the color of your gauge every time you start your vehicle with the included color memory recall feature. 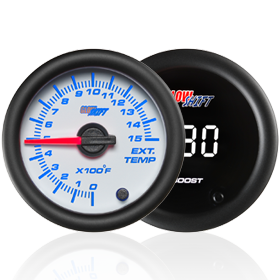 The Tinted 7 Color Gauge Series is offered in a variety of gauge types including Boost, Air/Fuel Ratio, Pyrometer EGT, Fuel Pressure, Temperature, Diesel truck gauges, and many more. 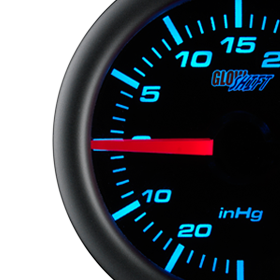 Every GlowShift Tinted 7 Color Gauge includes all necessary sensors, wiring harnesses, mounting hardware, and installation instructions, as well as a one year limited warranty and free lifetime technical support. The optional 7 Color Series Extended Wire Harness used for temperature and pressure sensors is available to make installing and power your gauges easier. 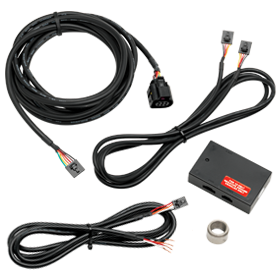 This wire harness replaces the 18 inch lead wires, effortlessly snapping into the back of your 7 Color Series Gauge using the modular connector, giving you 3 ½ feet of power wire and 10 feet of sensor wire so no additional wire extensions should be needed. Check out the Tinted 7 Color Gauges in action below and don’t forget to subscribe to our YouTube Channel. Follow us on Facebook and Instagram and share your finished Tinted 7 Color Gauge Series install with us!